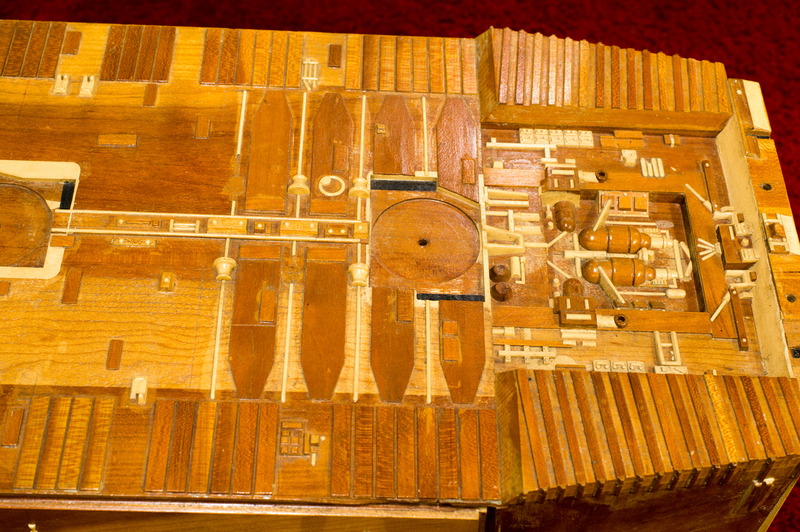 This is the original wood pattern to the Jawa Sandcrawler vehicle. Surprisingly few Kenner Star Wars patterns are known to exist today, but a small cache were uncovered at a shop in Michigan which had produced patterns for Kenner in the late 1970s. 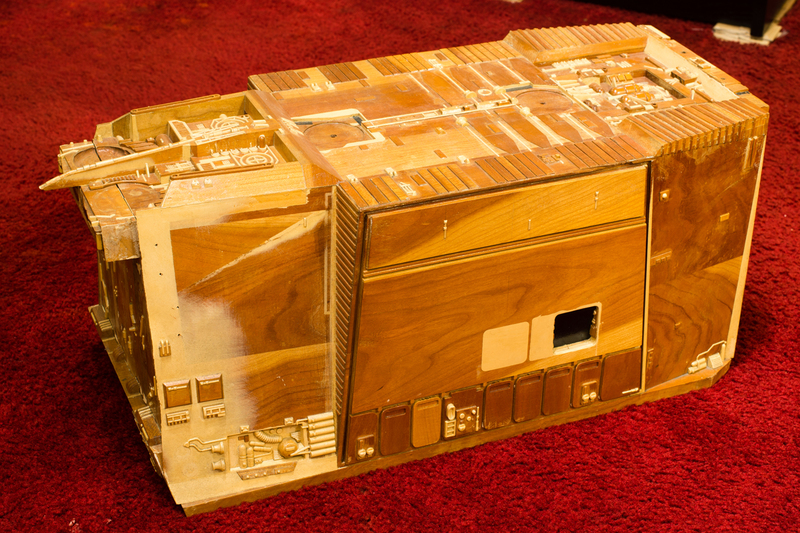 The Sandcrawler pattern was made at 2x the scale of the actual toy, which allowed the woodworker to achieve fine-grain detail. 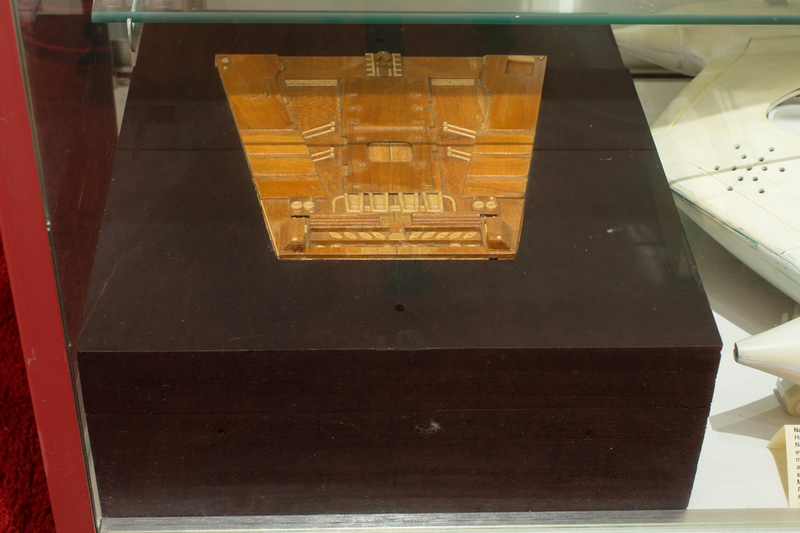 This detail would eventually get reduced to the scale of the toy in later stages using a pantograph machine; every nook and cranny of the Sandcrawler was carved and milled in this one-of-a-kind piece. 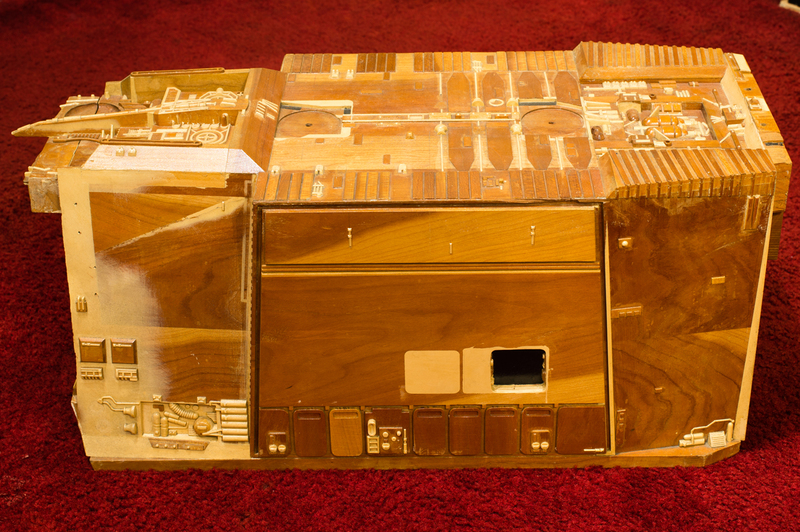 Wood patterns for large toys can sometimes have the different sides formed as separate flat-patterned pieces, but the Sandcrawler is unusual in that most of the sections were assembled into a single three-dimensional pattern. One exception was the top flap that covers the front section, which was made using a separate wood pattern. For more details about this piece, please check out my blog entry on starwars.com.